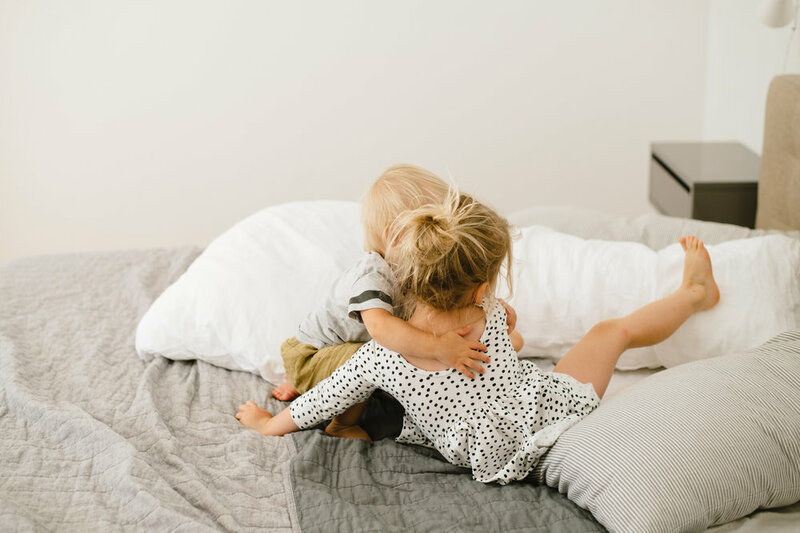 Two little monkeys jumping on the bed . . . or off the headboard! 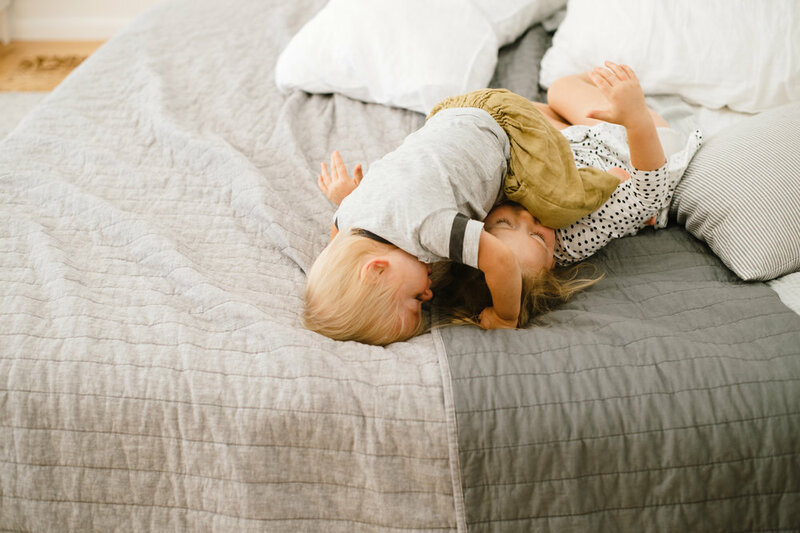 This just may be their favorite activity - rolling around, jumping, snuggling, wrestling, squishing, lounging and pillow throwing on our big bed. Some sibling fun I caught on camera!